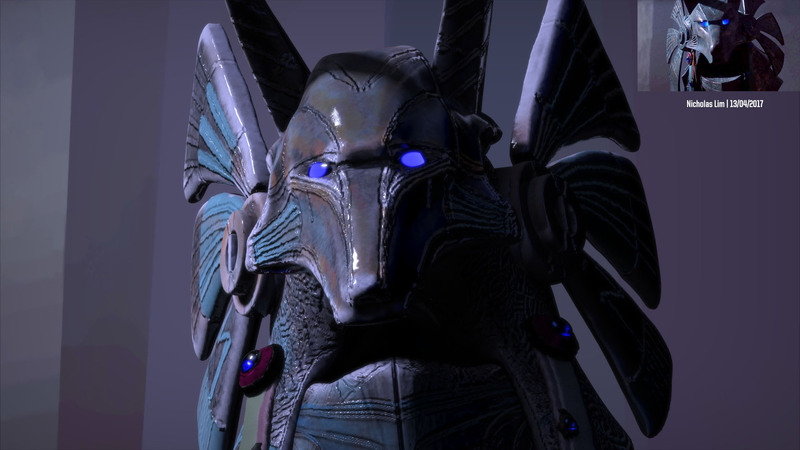 I chose to do the sci-fi Anubis head from Stargate (1994). 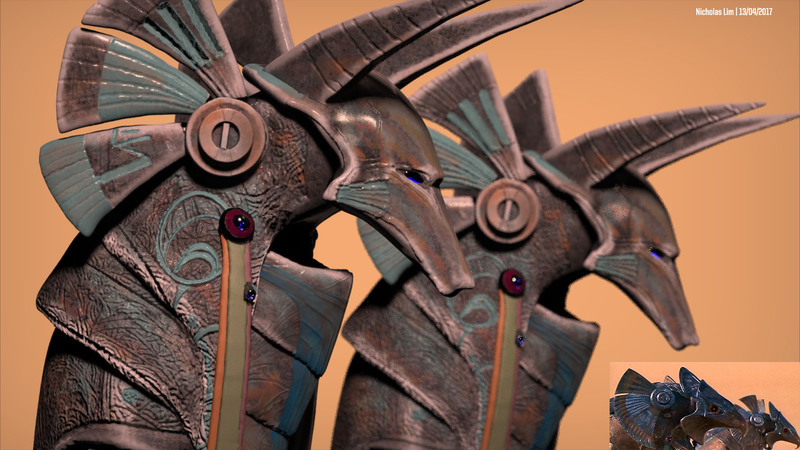 I sculpted the head from the shoulders up and gave it some displacement and colour maps in 3D Coat. 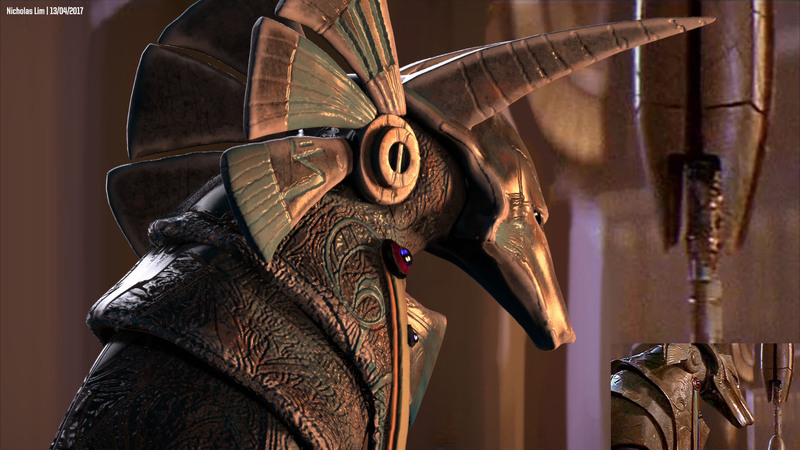 I attached some of the scenes from the film as well for reference. Please note that I had to use brighter screencaps from Google in certain areas. 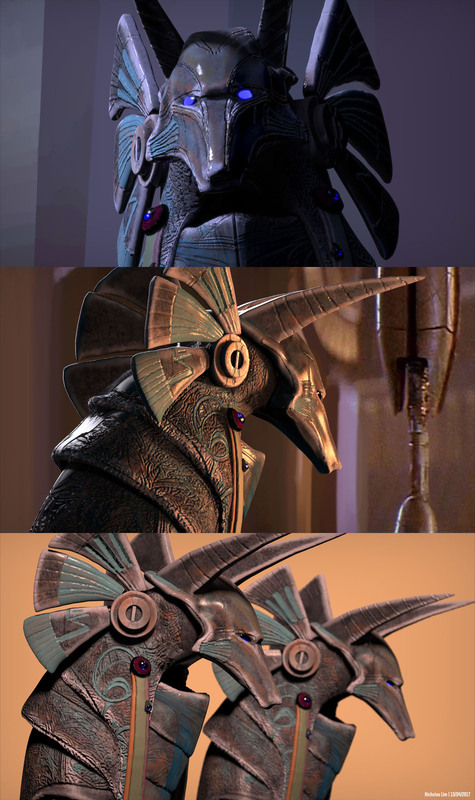 The third image features Horus/ eagle heads, but I substituted them for the model I sculpted to save time. After all, it's a lighting exercise.